It is so easy in life to have a “me first” attitude. An approach to life that finds value in the things you can put in your success column. Don’t get me wrong I find fulfillment in personal accomplishments, but in the end, I also realize that all those were not me only but me living out the call of God in my life. 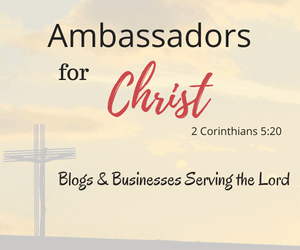 In this first post, I talked about how God wired me to be a person who finds joy in equipping others to live out the call of God in their lives. The second critical foundation of the wiring is there to encourage others in their journey. This illustration may add a bit of context. The real success stories in life are with people who can rejoice in the successes of others. What Lou Brock did in cheering on Rickey Henderson should be a way of life in the family of God. Few circumstances give us a better opportunity to exhibit God’s grace than when someone succeeds and surpasses us in an area of our own strength and reputation.” -Our Daily Bread, June 19, 1994. I can’t speak for anyone else, but the idea of surpassing the work that Jesus did is awesome. Jesus is laying down an appealing challenge. You will get a chance to make a kingdom difference even greater than the one He started. If Jesus was concerned with His legacy only, would He have added this encouragement for us? It means that we understand that life can be full of ups and downs. It is easy to get distracted, and that distraction can cause roadblocks that tempt us to throw in the towel. Life’s journey is difficult. It is filled with obstacles. You will fall and be injured by circumstances, how you respond to these situations will determine whether you fully accomplish the mission God called you and gifted you to accomplish. The role of an encourager is to remind us, not to lose heart and to point us back to the source of our strength, God. What is grieving your spirit today that you need encouragement to overcome? Selfishness has a way of altering our vision. We think and believe everything is about us. When we get to a point of freedom where we can rejoice in the successes of others, we have swallowed our pride. Pride, jealousy, and envy are the main reasons people hate on each other. Thanks for your encouragement, Brother! I thank God that you have always been an encourager to me. May God bless you in a special way today so that your faith in Jesus would grow! I agree. I think our culture is too self-conscious and competitive and that we can all benefit from taking our eyes off of ourselves long enough to rejoice in the expression of someone else’s gift. Great message! One thing that helps me to have a genuinely encouraging attitude is when I stop comparing myself to and competing with others. I am glad it connected with you. Have a blessed day. Very true.You are giving a great message to the readers.Yes,it is easy to be selfish.But,giving to the society is not easy.When we learn how to help others,then success is there!Thanks for this valuable post! You are welcome my friend. Have a blessed day! “The real success stories in life are with people who can rejoice in the successes of others.” Yes, what a good post! I once had a post entitled: “A neglected command? Rejoice with those who rejoice.” Sadly, I think we can be prone to envy, jealousy, anger or self-pity when we see things going well for others.